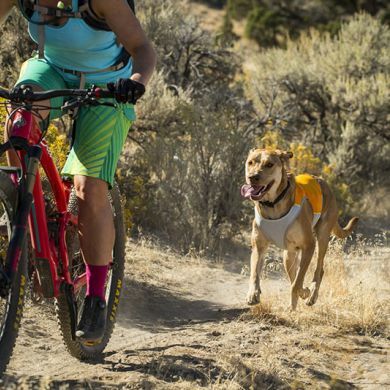 Got a super active dog? 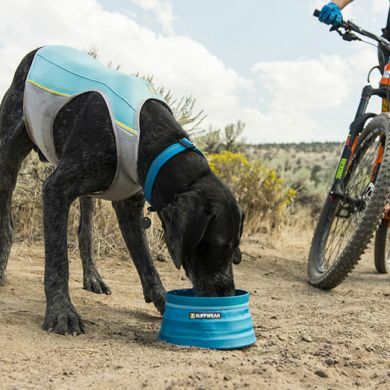 The lightweight, sleek Ruffwear Jet Stream Jacket efficiently cools dogs during high-intensity adventures. 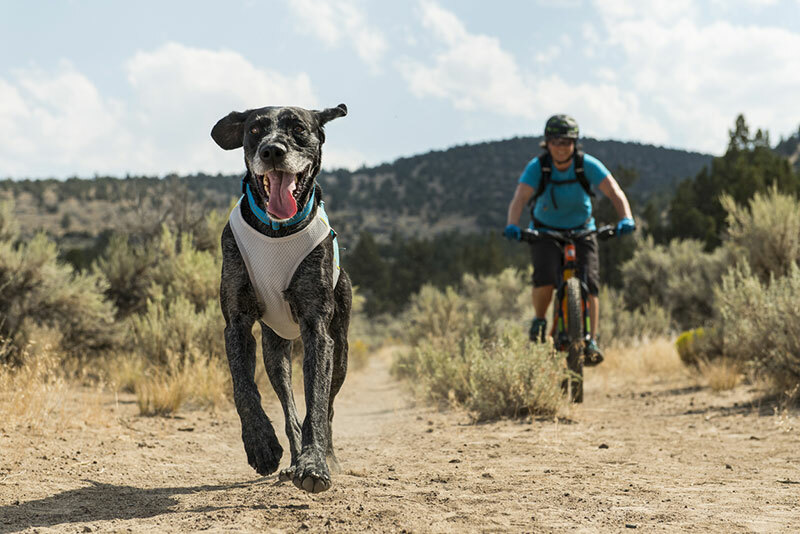 Your mate's back is shaded with a light spandex cover (SPF 50+) while a three-layer evaporative cooling chest panel disperses heat from your dog’s core. 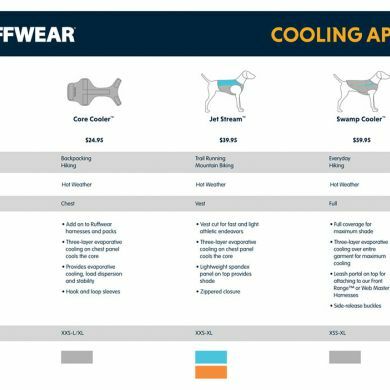 The Jet Stream differs in fit from the Ruffwear Swamp Cooler with a active cut and flexible material for fast and light athletic endeavours. 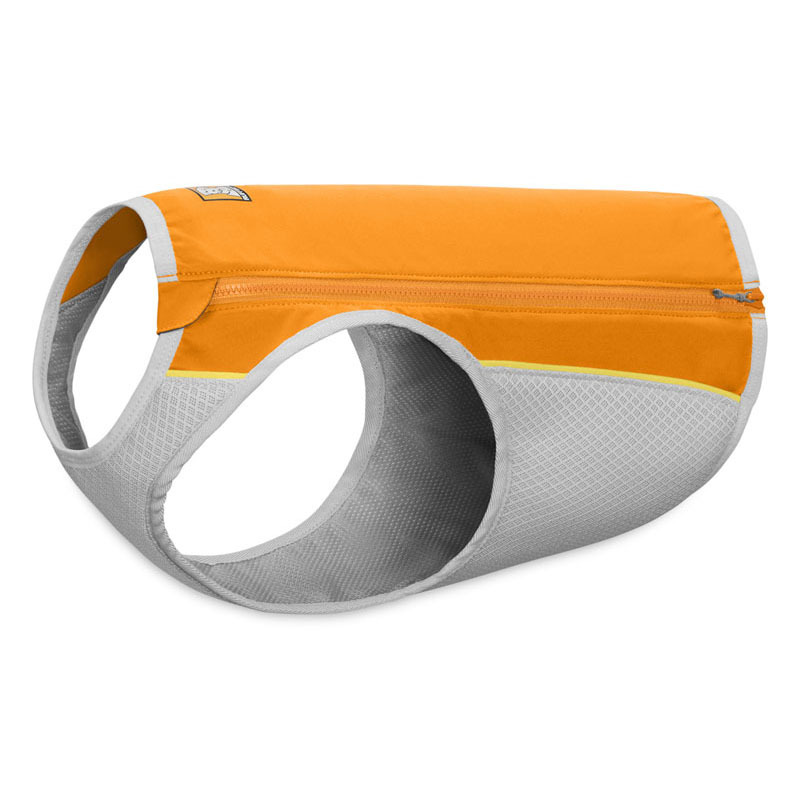 Looking for fuller coverage that can be worn over the Ruffwear Front Range or Web Master Harnesses? 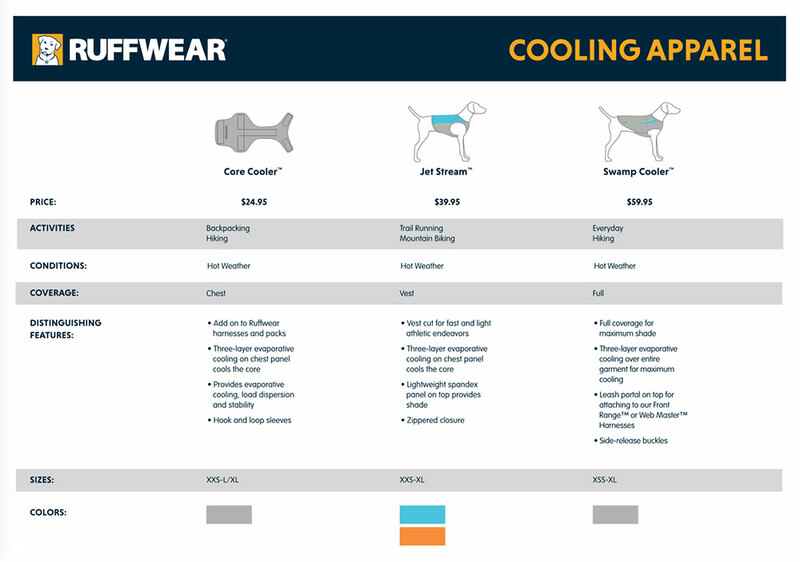 Go with the Ruffwear Swamp Cooler. 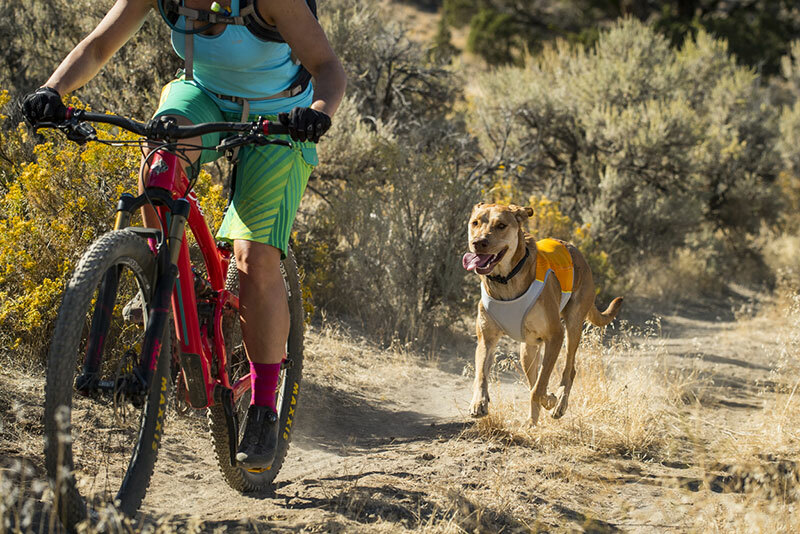 To activate the Jet Stream, soak in water, wring out, zip on your dog, and go. To reactivate the cooling at any point just add water! 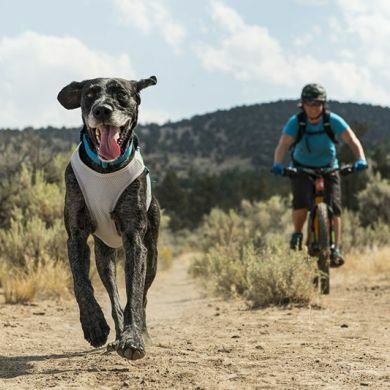 Read 2 customer reviews of Ruffwear Jet Stream Cooling Vest. The average customer rating is 5. 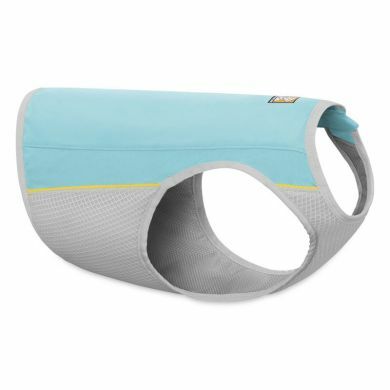 We're in the middle of a heat wave here in Adelaide and I desperately needed a way to keep my boys 'cool' while they were at work. 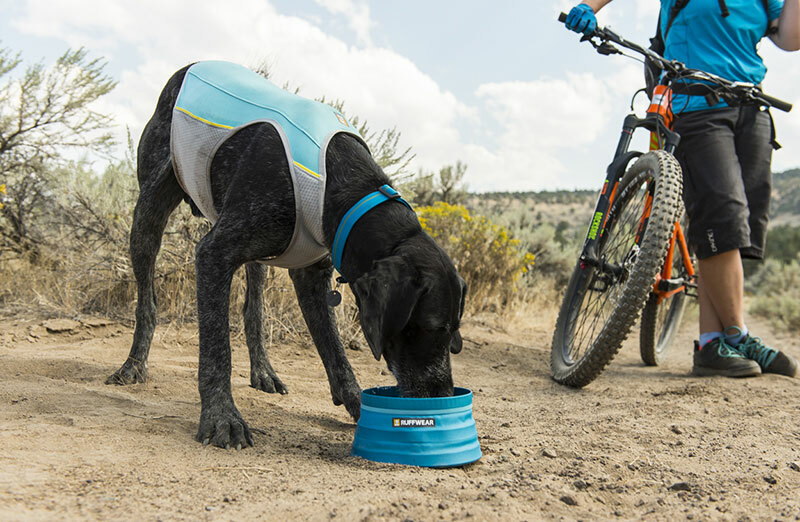 The Ruffwear Jet Stream Cooling Vest was every bit as good as I could have hoped for.Lightweight and very flexible, it fitted beautifully under Radar's hi-vis work harness without adding any bulk. The quality is great and the vest is finished well, no lose threads to catch on anything.I just popped the vest under cool running water, then into a ziplock bag and into my esky for the trip to work. When we arrived, I just popped it straight on Radar. I didn't worry about excess water as it was SO hot. 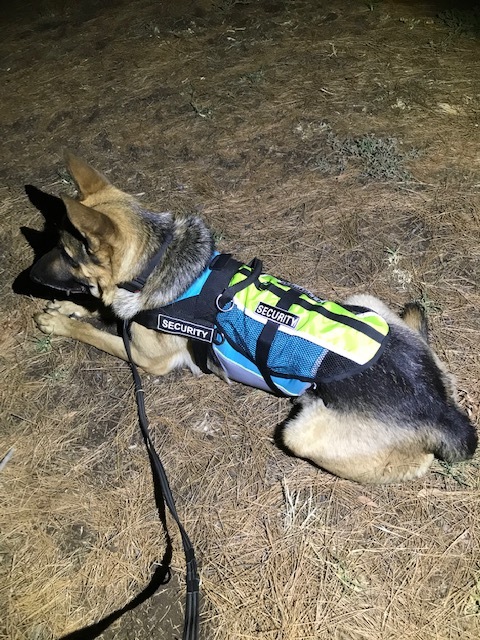 Radar stayed cool and comfortable for the entire shift and I only added cool water once during the night. 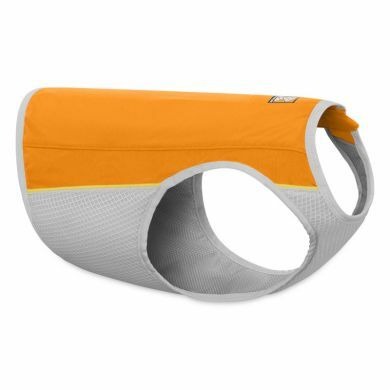 The vest didn't slip, roll or bunch up even when worn under a harness. I love it and I'm so glad I got it. 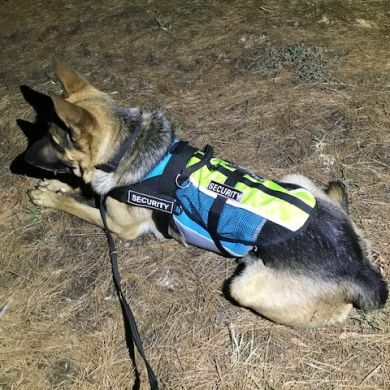 Now I don't have to worry as much when we're out working, he's cool and comfy! 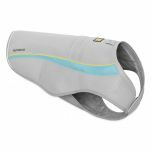 again the quality is very good, the cooling effective, and even if she has gotten over heated not wearing it putting it on her brings her back down to normal faster.